Tax reform represents the largest change to the tax code in 30 years, and impacts virtually everybody — including business owners both small and large, who are still working to untangle the qualified business income deduction. The new deduction is one of the biggest complexities in the Tax Cuts and Jobs Act and as tax season continues, it affords great learning opportunities for businesspeople of all sorts. Generally, the 20 percent deduction means an eligible business owner with $50,000 in qualified business income could deduct up to $10,000. This generous tax benefit is meant to level the playing field between businesses filing as C corporations, which have a 21-percent tax rate, and small businesses paying individual tax rates ranging from 10 to 37 percent. But ever since the law passed more than a year ago, the question has been who exactly qualifies for the deduction and how it – and its limitations – are calculated. Unpacking the consequences of the new deduction are possible. As the IRS released additional guidance, the country’s tax pros are working late nights to arm taxpayers with all the information they could need. 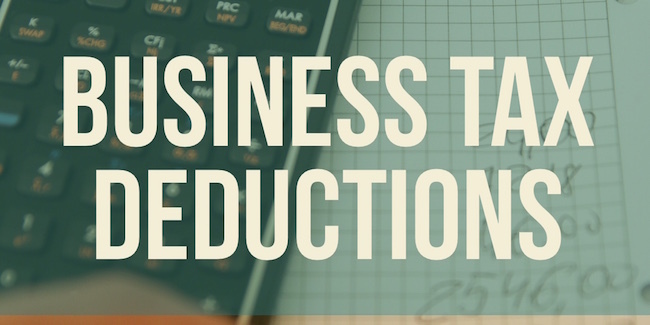 And while the new deduction generally allows some small business owners to deduct 20 percent of their qualified business income on their personal tax return, it’s also useful to know what it doesn’t allow. In addition to knowing the limitations for certain types of businesses and for taxpayers with higher incomes, taxpayers should know the qualified business income deduction does not affect the taxpayer’s adjusted gross income or self-employment tax due calculation. The deduction is limited for taxpayers with taxable income of more than $157,500 for single filers and more than $315,000 for married couples filing jointly. Though the change to the tax code presents a lot to learn, one thing will always remain certain: every tax situation is unique, and there’s no shame in asking for help – especially when the stakes are this high. This entry was posted in Blog on April 8, 2019 by c04432601.